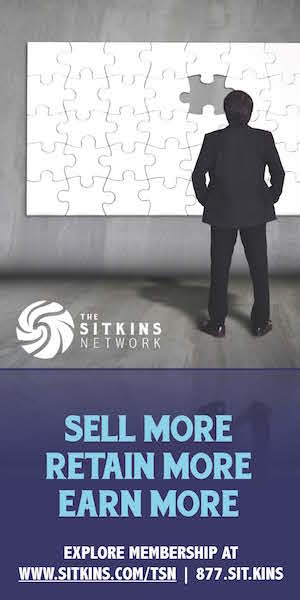 HOLISTIC APPROACH TO RISK BREEDS SUCCESS - The Rough Notes Company Inc.
What happens when you bring together experienced insurance people and a vision to provide holistic risk management services that cross all lines of business in the personal, commercial, and employee benefits arenas? Well, in the case of Baldwin Krystyn Sherman Partners (BKS), Tampa, Florida, you get a firm that reaches total annual revenue of nearly $24 million in just a little more than a decade of operation. The holding company, Baldwin Risk Partners, was formed in 2012 to invest in like-minded insurance partners. In addition to BKS, it has an additional 14 partnered firms in its family of companies and boasts overall revenue of more than $53 million. Founding partner Lowry Baldwin sold his previous agency to Wachovia and he left in 2003 with a desire to create a firm with an innovative approach to insurance when his non-compete agreement ran out. In the meantime, he started a successful PEO. 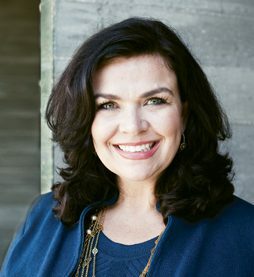 Elizabeth Krystyn remained at Lowry’s prior firm running national sales integration and benefits until 2006. There, she met Laura Sherman who led the private risk management practice for a recently acquired Wachovia-owned firm in Atlanta. Lowry, Elizabeth and Laura shared a vision for a newly planned agency that had the resources of a large firm, but a holistic and individualized approach for its clients. 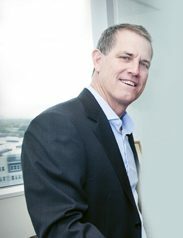 Trevor Baldwin, Lowry’s son, joined the firm as a partner in 2009. 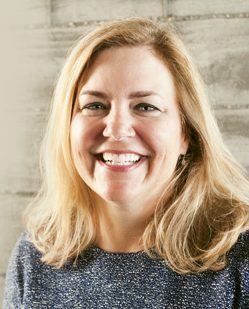 “With his private equity background, he added a new area of expertise to the firm’s scope of services,” Laura points out. Of course, when just a few people share a vision, it is relatively easy to stay on course. But when a firm grows to 172 colleagues and there are a total of 350 colleagues throughout the entire holding company structure, you need something in writing. She adds: “We’ve found that our unique approach helps us identify those hidden risks that often require non-insurance risk mitigation techniques. We’re also able to uncover many risks that had been overlooked by previous agents–everything from vicarious liability to service on non-profit boards to the risk of allowing the nanny to drive the family car. “When we started in 2006, it was not exactly a propitious moment in Florida economic history,” Elizabeth says. “We, as a start-up, were making significant investments to get ourselves established. Soon after, the state was hit particularly hard by the economic downturn. A lot of people—clients, colleagues and insurers—took a chance on us. We asked people to take a leap of faith and they did. Community involvement is as much a part of the DNA of BKS as are teamwork and collegiality. Every colleague is given 24 hours of paid leave to work at a charity. In addition, many team members spend additional time after hours to help out in the community. Colleagues serve on some 20 charitable boards throughout the year. 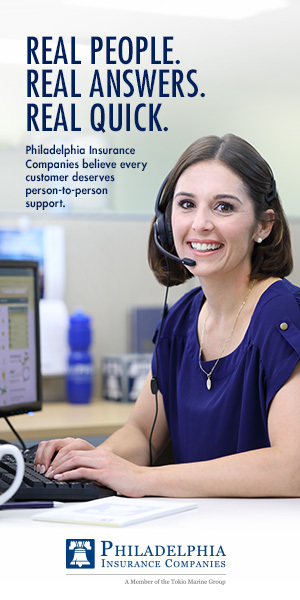 In addition, the firm provides financial support to a number of philanthropic organizations. 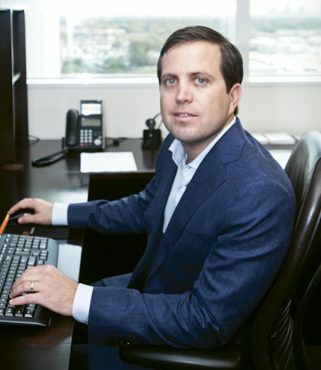 Matt Hammer, ARM, AAI, joined BKS in 2010, became a managing advisor in 2014, and, in 2017, became the first advisor to achieve partner status. 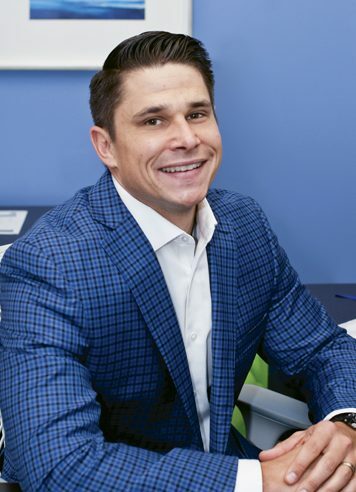 In late 2017, he established the Orlando BKS office, where he leads growth and cultural evolution. 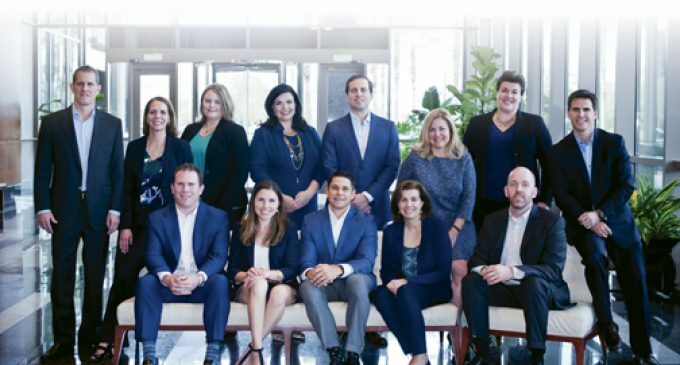 Just as BKS wants new colleagues who bring new perspectives and opportunities to the firm, the holding company also is looking to add new partners that can bring new expertise to the enterprise. As an entity that understands independent agencies, Baldwin Risk Partners leaders believe they are well positioned and are able to offer a long-term partnership—including financial support, when appropriate—to those firms that share a vision of providing excellent risk mitigation services to clients. Rough Notes also is proud to recognize Baldwin Krystyn Sherman Partners as our Agency of the Month. The firm’s focus on clients’ changing needs has led to incredible growth and makes it clear that they richly deserve this recognition. 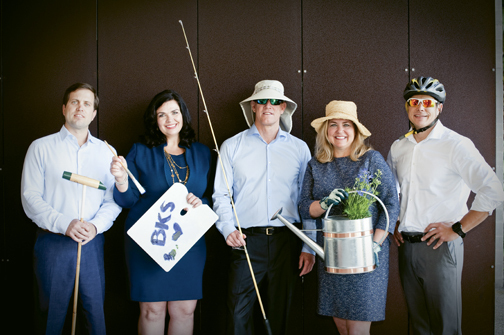 For a fun shot, the BKS partners brought props to illustrate passions they pursue in their personal lives. From left: Trevor Baldwin, playing polo; Laura Sherman, supporting the arts; Lowry Baldwin, fishing; Elizabeth Krystyn, gardening; and Matt Hammer, cycling. Dennis H. Pillsbury retired in 2016 as the executive editor of Rough Notes magazine.